Brooklyn is looking to shore up their playoff spot, as their road trip continues. They are going to need a few more wins to make sure that they can get there for the first time under Kenny Atkinson. Portland has played well of late, and in a conference that features four teams breathing down the necks of the others, they have some breathing room as they sit as the #4 seed, with home court for the opening round. They are #18 in points for, as well as against. But this is a crafty team that features a number of different playmakers. D’Angelo Russell is a strong candidate for most improved, as he has backed up his All-Star nod during his first season with Brooklyn. He’s been averaging 21-4-7, making plays left and right, while DeMarre Carroll has been on top of his game recently. Jarrett Allen and Ed Davis continue to hold down the fort at the center spot. 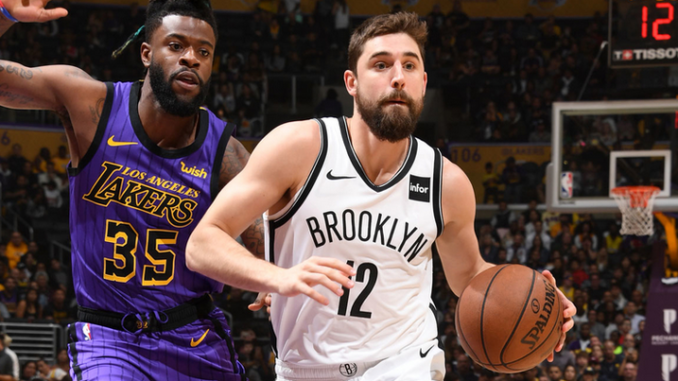 Brooklyn is built to win games with three-point shooting, as they rank inside of the top-seven in both attempts and makes while ranking 15th in the league in percentage. They will not have Allen Crabbe tonight, but Joe Harris is out there making more than 47% of his three-point attempts, a completely shocking number. The return of Spencer Dinwiddie has bolstered the team, while Caris LeVert has not been playing so well since making his return, as the early-season magic seems to have worn off. CJ McCollum being out of the lineup has not yet cost the team any games, as everybody around the team has stepped up. They knocked off the Pistons over the weekend, thanks to the clutch performance of Al-Farouq Aminu, who was hot for the entire final frame. Seth Curry added 16 points in the opening half, while Jusuf Nurkic was making some big moves in the paint when matched up 1-on-1 with Andre Drummond. They are the #9 scoring team in the league and will be hoping that this will be the year they can win a playoff series again. Rodney Hood has been scoring the ball well off the bench, while Jake Layman has not fit in very well as a two-guard, considering that he began the season as a power forward. Whatever the case may be, the wins keep coming, as Portland is now in search of a 46th win. If they can win seven of their final 10 games, they will be able to finish as a top-four seed. Yes, we’re riding with the Blazers! Be sure to bet POR -6! Brooklyn will not have it tonight, as Dame drops 35 to carry his squad to the victory. Jusuf Nurkic’s double-double will also help, as D-Lo will not have enough in his tool belt to get Brooklyn win #39.